As has been my tradition, every sermon that I preach will be posted here. This sermon, Worship as Lifestyle, was given at The Salvation Army Devonport on Sunday 11 October, 2015. The Reading was Amos 5:1-15. 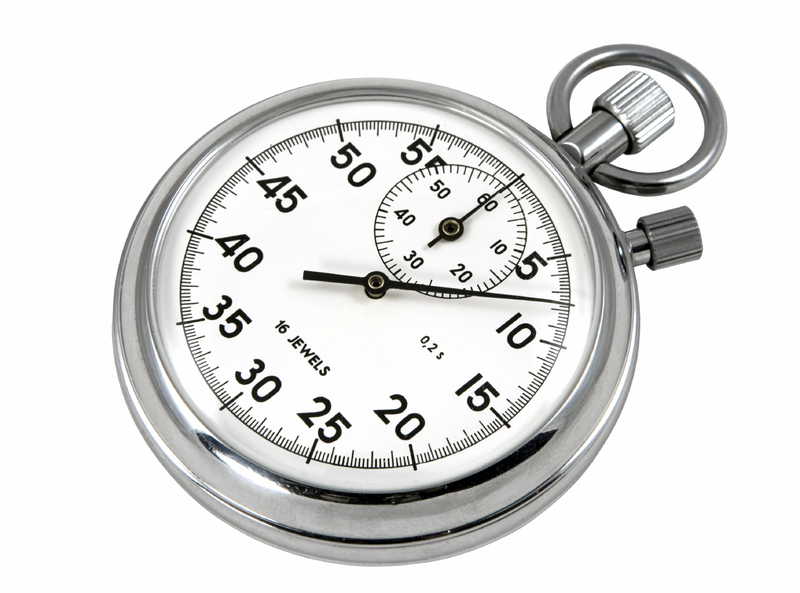 There are 3600 seconds in an hour, 86,400 seconds in one day, 604,800 in a week and over 31 million seconds in a year. To put that in perhaps more realistic terms, we know that there are 60 minutes in an hour, but that makes 1440 minutes in a day, 10,080 in a week, and 525,600 in a year. All of us, no matter how good we think we are, only get the same number of minutes in a week. So how well do we use those minutes? On Average – and these are all figures I sourced from the internet so they must be true – we will spend 168 minutes a day watching TV. That’s 1176 minutes during the week, or almost 12% of the week. The average American spends 128 minutes on either their smart phone or computer. That’s 896 minutes a week, or almost 9% of your week. You will spend, on average, 456 minutes sleeping each night, that’s over 30% of your week. We’re up over half of our week gone already! You’ll spend only 66 minutes a day eating, that’s only 5% of your week. If you’re employed, you will spend 516 minutes a day either working, thinking about work, getting ready for work and other work related activities. That’s 35% of your week. And by my quick maths, that leaves us with less than 10 percent left. How much have I left out? When I was teaching violin, I would always stress the importance of daily practice to my students. I would get them only once a week. If they were lucky, and received an hour-long lesson, that would be only half a percent of their week. If they were to practice for an hour each day, their time spent learning violin would come to nearly 5% of their week. Is it any wonder that considering the limited amount of time that we have in our week, we can easily fall into the same trap that the Israelites had fallen into during the time of Amos. Let me explain. In the passage we heard, Amos prophesies to Israel, telling them not to seek Bethel, Gilgal or Beer-sheba. Now, how good is your Old Testament knowledge? Who can tell me anything about Bethel? Did you know that the Old Testament mentions Bethel more than any other site except Jerusalem? Twice in Genesis, we read that Abraham offers a sacrifice to Yahweh between Bethel and Ai, and Jacob experiences a vision at Bethel and sets up a pillar to mark it as a sacred place, before returning many years later to erect an altar to God there. What about Gilgal? Well, Gilgal is a little bit murkier, as it’s believed that there were potentially a few different places referred to as Gilgal. The most significant of these is the site that the Israelites camped at after they crossed over the Jordan River into the promised land. This is also where they celebrated the first Passover. Finally, we have Beer-sheba, Now, Beer-sheba is part of the Negev region, and is mentioned as the southern extent of the Israelite kingdom. Beer-sheba is first mentioned in Genesis when Abraham secured the rights for a well that he had dug. But again, it’s a place that features in the lives of the Patriarchs. God appeared to Isaac here, and to Jacob when he brings his family to Egypt at the invitation of Joseph and the Pharaoh. These places – Bethel, Gilgal and Beer-sheba – are all sites that have a rich history of God being there. They are holy places. And that is certainly what they had become. By the time of Amos, these three places had become religious centres, with shrines and temples built there, and a strong cultic history – and by cult, I don’t mean brainwashing religious loonies. In sociological classifications, a cult is a “group having a sacred ideology and a set of rites centering around their sacred symbols.” So these places were seen to be part of the Hebrew faith tradition, but their worship had grown to be centered around the location. People would follow their faith and believe that they could only worship at these sacred sites. It might be around the Pillar at Bethel, or the well at Beersheba, or the stones at Gilgal, but they were so convinced of their holy-ness that they could not worship anywhere else. It reminded me of this scene from that very accurate and serious natured film, The Life of Brian. It’s so easy for people to get fixated on certain objects or locations. And part of us kind of want it to be that way. We want to know that if we say the right things in the right place, then we’re good with God for the next week. In our busy lives, we want to confine God to when it works for us – to come and do our service and have that be it. But Amos says to the Israelite people not to go to those places, as they will go into exile, or come to nothing. Instead, Amos says to seek the Lord and live. Amos then goes on to start talking about Justice. He condemns those that “turn justice to wormwood” – that is, a bitter thing – “and bring righteousness to the ground.” This may seem like an odd thing, in relation to what we’ve just been talking about, but keep listening. After a bit of a hymn that describes the power of God – the one who made all of creation, every part of it – he talks about this idea of justice. For the Israelites, Justice had become something that was dealt out in a location – at the gate. Here, local trade and business was carried out, group meetings were held, and justice was dealt out. And because that was seen as the place of justice, the Israelites had become to feel like Justice didn’t need to be part of their lives away from the gate. They would trample on the poor, take levies when they weren’t entitled to. The whole idea was that if it wasn’t in sight of the gate, they could do what they liked. But God, who made everything, sees all. So Amos tells the Israelites to seek Good, not evil. What Amos is trying to tell the Israelites is that, just as Justice should be a part of our whole lives, and that it shouldn’t matter whether we can get away with it because there’s no-one there to see it – similarly, it doesn’t matter where we worship, because God created all of creation. If God created the whole world, then who are we to restrict the worship of God to a particular place or time? Now, there’s not much that would have me admitting that it’s more important than the violin, but if we love God, and he created the whole world, and he created us, and loved us so much that he sent his son so that we could have a relationship with him, then surely he deserves more of us than half a percent of our week. If we only come to worship on a Sunday morning, then we are giving about half a per cent of our week. If we claim to love God, and want him to transform our lives, don’t you think we should give a little bit more than that? As you know, I have just been in Perth. Now, while you may think that it was just an excuse to go home, I did actually go over there to study. I spent a week in New Norcia, which is a Benedictine mission. Now, if Benedictine is a bit of a strange word for you, let me share just a little bit, and you can ask me more later. 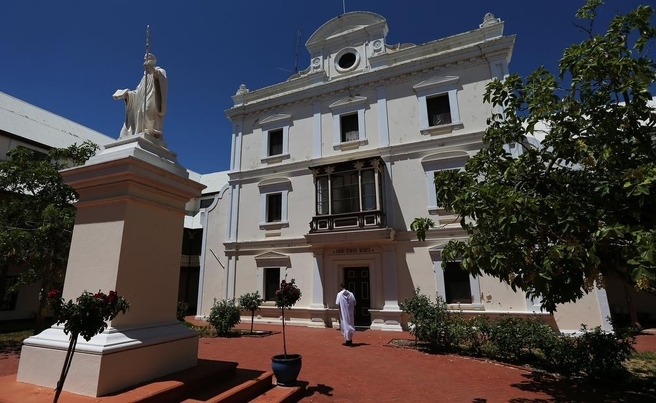 New Norcia is home to a Benedictine monastery, where a group of monks follow the Rule of St Benedict to deepen their own spirituality, and to have that spirituality work within the mission of their community. The monks (and me, during that week), pray 6 times a day, in what is called “The work of God” by Benedict. Benedict saw prayer as essential to the life of a monk. But on top of that, in order to not have idle hands and minds, the monks would also do what was called “manual labour” – that is, the “ordinary” work, as opposed to the work of God. This could be weeding in the garden, it could be work in the archives or art gallery, whatever was needed on that day. While they were doing that manual labour though, their mind was to be focussed on completing the task with the same devotion as they had to God. Monks enter the monastery to be transformed by God. They do that by spending their entire lives in prayer and worship of God. And while that may seem like it can be something that only a monk can do, it most certainly is something that we all can do. Too often, we hold onto those holy spaces. I can recall many holy moments in my life – a spiritual retreat, a Planetshakers praise and worship set, many times during my prayers in New Norcia. You may recall many times that have been holy and transformative for yourself. These are important, and it is important to hold onto, but we can’t rely on those spaces alone. We can’t stay in that holy space – like Peter wanted to on the Mountain after the transfiguration. If we do that, we risk becoming like the Bethel, Gilgal and Beer-sheba cults that Amos was warning against. Instead, we can choose to worship God through our whole lives. To be in constant communion with God through prayer. To praise God for everything in our lives. In doing that, we allow God to transform our lives, and are more open to him than the half percent that we give him on a Sunday. And through allowing God to transform our lives through constant worship, we open the possibility for our transformation to lead others to that same transformation. That’s not to say that corporate worship isn’t important. Community worship is very much important, just like regular violin lessons are very important to the violin player. Without it, you lack guidance. Without it, you at best stand still in your Christian journey, and at worst, move backwards. But if that is all you ever give, then that is all you’ll ever get. But, if you allow yourself to be open to God, to worship him throughout your whole life, both in dedicated times of daily prayer, and through your ordinary, everyday lives, then you allow yourself to be transformed into being more and more like God.